A Grade Rule informs you if any of your Students do not meet a certain score on an assignment or assessment. The score and assignment or total points must be pre-determined by you. In order to do this you must create the Grade Rule. 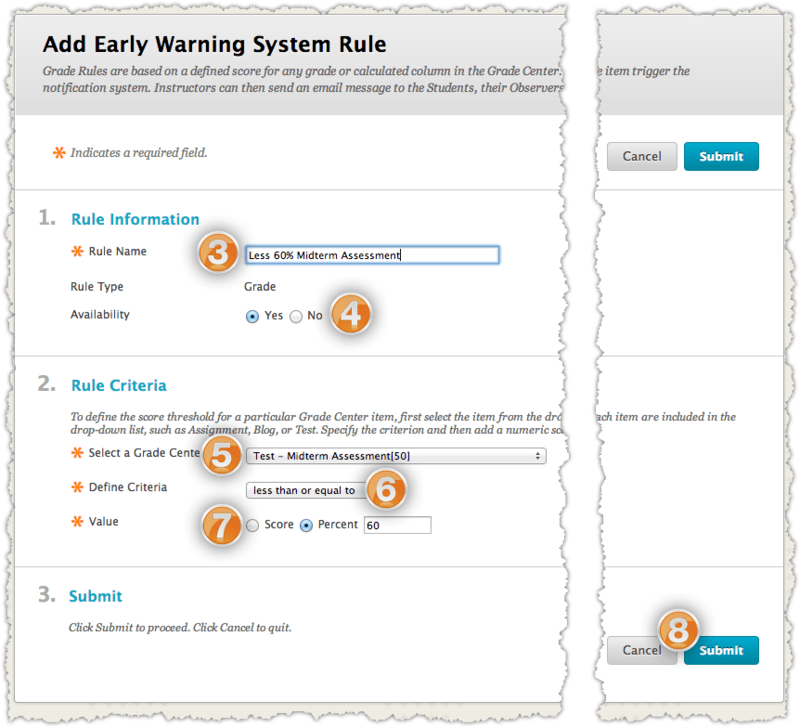 Access the Early Warning System under the Evaluation tab in the Control Panel. 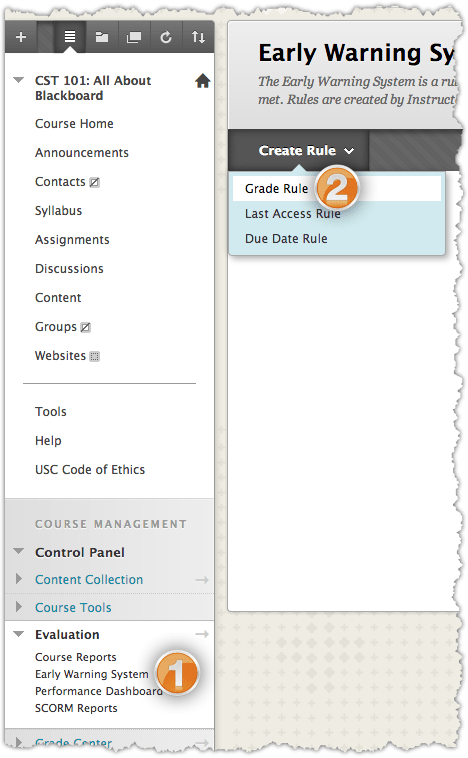 Tab over Create Rule and select Grade Rule from the Menu. Enter a name for the new Grade Rule. Select the test/assignment you want the new rule to take into account. Note: Be aware that selecting “Total” will check for total number of points, and unless all assignments are graded and accounted for you will receive many notifications. Define the criteria for testing the rule. This can either be less than or equal to, equal to, or greater than or equal to. Select the value, in points or percentage, for the rule to test.